The villa is located within walking distance from the beach Malama, a small quiet beach with white sand and crystal clear blue water. 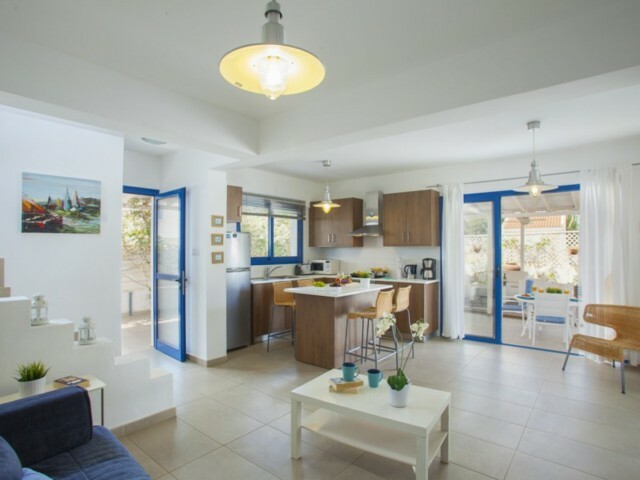 On the ground floor there is a spacious living room with fully equipped kitchen and breakfast bar as well as a gu..
Beautiful 3 bedroom villa in Protaras, located in a quiet location, between two beautiful beaches. 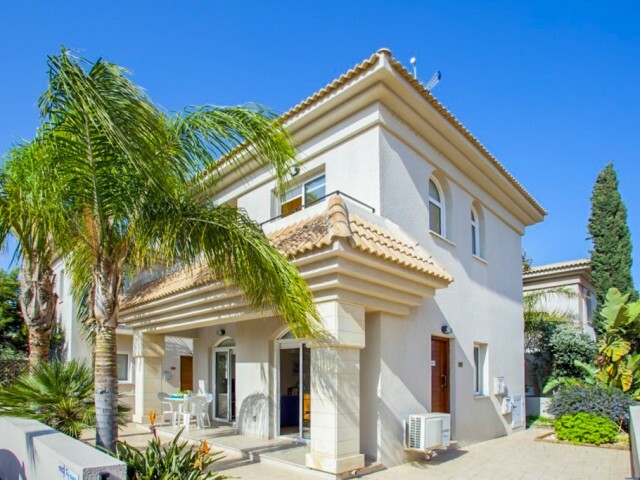 On the ground floor an open plan living area with a fully equipped kitchen with all appliances, living room large flat screen TV, dining room and gu..
Villa with 3 bedrooms is located in a gated community next to the beautiful beach of Pernera, award-winning Blue Flag. 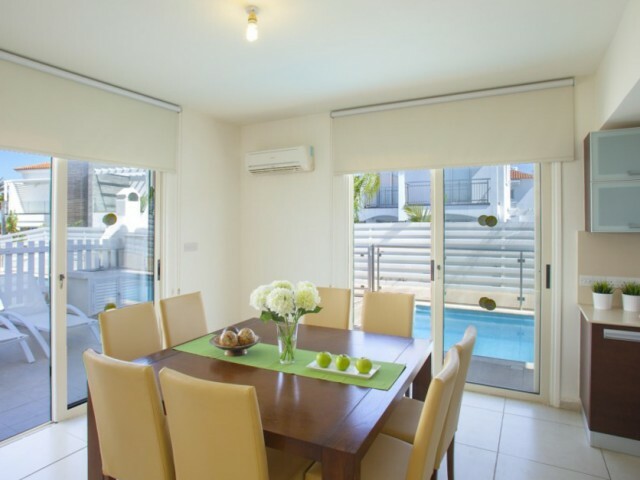 On the ground floor there is an open plan living room, fully equipped kitchen, guest toilet. 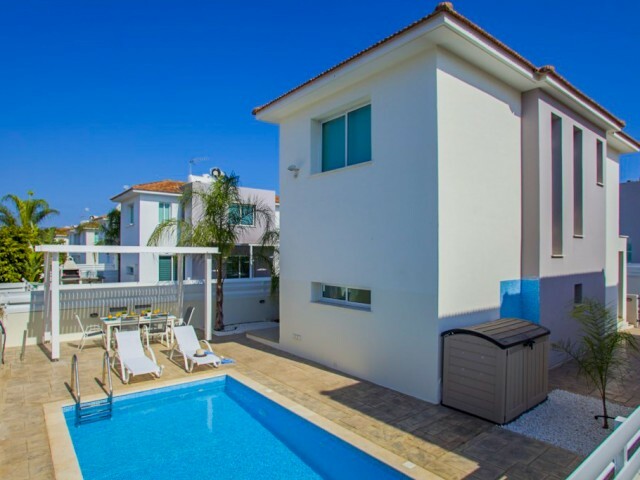 On the second floor there are 3 bed..
Villa with 3 bedrooms is located in the center of Protaras in a peaceful and quiet place. 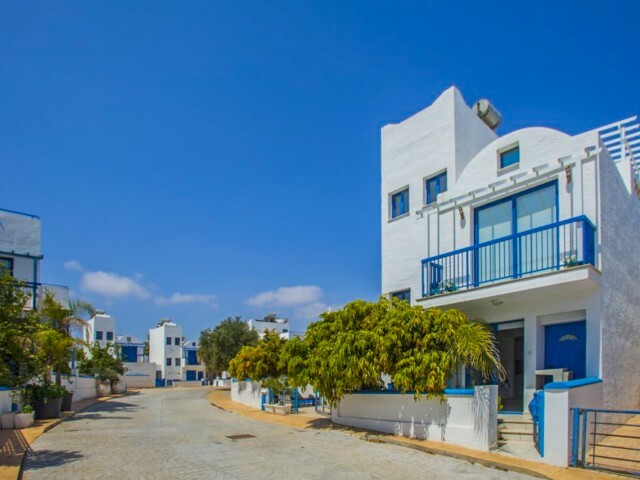 Location of the villa is ideal for a family holiday, within walking distance you will find: bars, restaurants, playgrounds, pharmacy and of course the best b..
Villa in Protaras with 2 bedrooms, located in a quiet and peaceful area, a few meters from the beach and all amenities. On the ground floor there is an open plan kitchen, dining and living area with fully equipped kitchen, dining table, comfortabl.. The villa is located a few steps from one of the best beaches of Protaras, it combines privacy with absolute privilege to wake up with this magnificent sight of the blue sea and just a few steps from the beautiful sandy beach. The villa has panora.. The ground floor is an open plan kitchen, dining and living room area with a fully equipped kitchen a dining table for 6 persons, comfortable sofas, large flat screen TV and guest toilet. 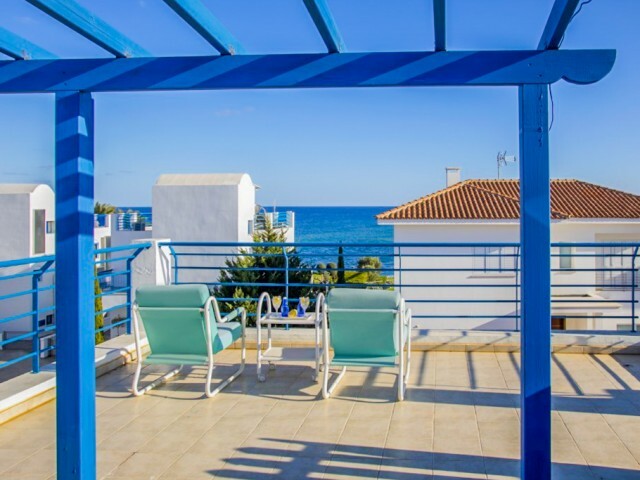 On the top floor the villa features the master bedroom with..
Two bedroom villa in Protaras, located in a quiet and peaceful area, a few meters from the beach and all amenities. On the ground floor there is an open plan kitchen, dining and living area with fully equipped kitchen, dining table for 6 people, c.. Superb villa built on a large plot of land, mature garden with fruit trees, a private swimming pool. On the ground floor is a double bedroom and a guest toilet, and a separate kitchen, living and dining area, which offers a beautiful view of the g..